« ~20JUNY, dissabte~ Cumpleaños Feliz, Pandora! 20h! 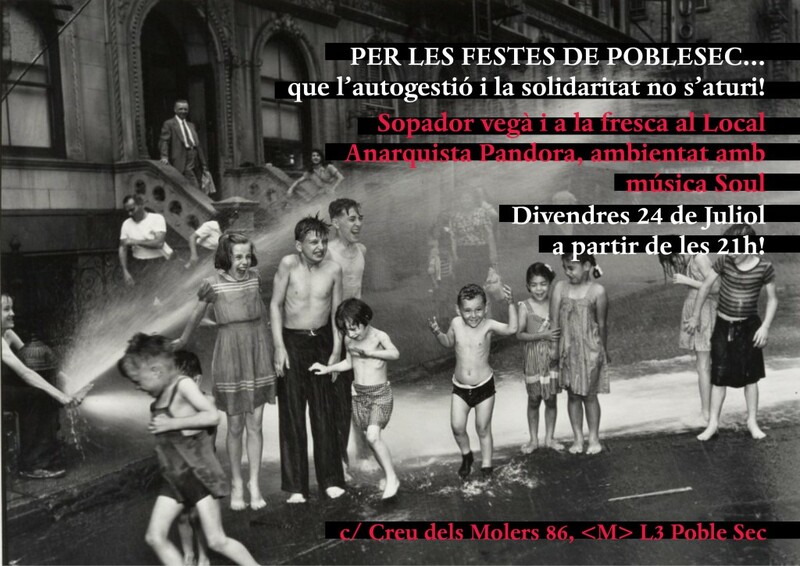 PER LES FESTES DE POBLESEC…. que l’autogestió, la solidaritat i la dança no s’aturi! Divendres 24 de Juliol a partir de les 21h ! And working for someone else. This entry was written by Anarquistes Poble Sec, posted on 12/07/2015 at 15:35, filed under General. Bookmark the permalink. Follow any comments here with the RSS feed for this post. Both comments and trackbacks are currently closed. Ojo q al títol posa de Juny, en lloc de Juliol!